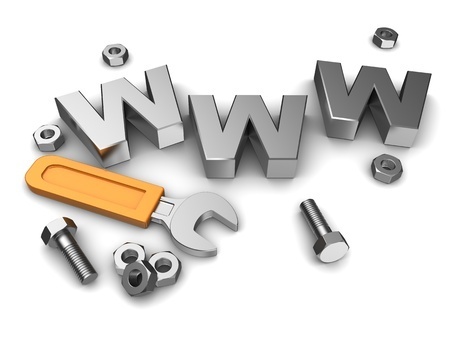 Having a pool of tools and resources ready at hand can make the task of web developers quicker and more convenient. In this field, just like in most fields, productivity is crucial. To help you make the most out of your time, here is a short list of some useful tools and resources that you can use in web development. Lorempixum is a placeholder generator that provides placeholder images for any of your needs including web design and print layout. This generator enables you to pick the URL, define the dimensions, and specify the category and color settings of the image. Solarized by Ethan Schoonover, is a custom palette with four background tones, four content tones, and eight accent tones. All of these sixteen tones are based on established principles of the color theory. The colors are highly visible on both light and dark backgrounds. Asciiflow is a web-based ASCII flow diagram tool. This simple drawing tool allows you to create lines, arrows and boxes, and to export it to text or HTML. Loads.in is a speed test of the loading time of your web page. You only need to enter the URL of your web page, and loads.in will already be able to test how fast it will load in differentweb browsers from more than 50 locations across the world. Log.io is a real-time log monitor. It can be used to perform monitoring in your web browser. This includes watching the log files for any changes, and sending new log messages to the server. In addition, you can make stream and history screens with Log.io. CSS Lint is an error-detecting tool for CSS coding. This tool allows you to check the basic syntax as well as apply rules to problematic code. .htaccess tester, as its name suggests, is a tool that allows you to test .htaccess rewrite rules. You can start by entering the URL that you want to apply the rules to, and then placing the contents of the .htaccess on the input area. With this tool, you can proceed to analyze if the rules are properly functioning. Drush is a Drupal tool that enables you to install and download modules without having to open a web browser. Meld is a visual diff and merge tool that allows you to compare three files side by side. Using this tool, you can edit them in place. Folders can also be compared and file comparisons can be launched. LocalTunnel can be used to quickly demonstrate ongoing projects. When showing to someone the projects you are currently working on, the usual process is to upload the files in a server or to prepare a video about. Both of these can be quite the hassle especially when you only have to briefly show what is happening on your current project. LocalTunnel is an easy way to share localhost over the internet. Readers, what’s your take? What tools or resources do you like to use?